Newcomer Family Obituaries - Paul E. Pinkston 1923 - 2019 - Newcomer Cremations, Funerals & Receptions. Paul E. Pinkston, age 95­, of Beavercreek, Ohio went to be with the Lord on Saturday, January 19, 2019, at Brookdale of Beavercreek Senior Living Center. Born in Calhoun, Kentucky in 1923, he was the son of Bessie and Finley Pinkston. 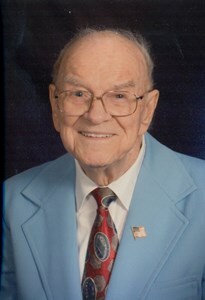 He lived in Akron, Ohio, working at Goodyear Tire and Rubber as a machinist when he enlisted in the U.S. Navy during WWII. He rose to the rank of Ensign and served as a Flight Instructor for the Naval Air Corp. He was introduced to Mildred “Mickey” Elam, originally from West Liberty, Kentucky, on a blind date. They married in Akron on April 12, 1945. After his discharge from the Navy, Paul helped his father on the family farm in Marietta, Ohio. Paul and his wife later moved with their three children to a farm on Grange Hall Road in Beavercreek where they lived until 1959. At that time, Paul took a job as a machinist at Elano Corp. where he worked until his retirement. He enjoyed fishing, wood carving and he wanted to be a beekeeper. Paul was a founding member and deacon of Faith Baptist Church, Beavercreek. Paul is preceded in death by his parents; two brothers; two sisters; two wives, Mildred and Wanda; and one son, Richard. He is survived by one son, Paul David; one daughter, Jackie; five grandchildren, Matthew, Mark, Tadd, Rebekah and Si; and one great-granddaughter, Keyairah. Born during the “Roaring 20’s” and raised during the Great Depression, Paul saw the invention of the jet engine, flew Navy planes during WWII, and lived during a time of lunar landings and Mars rovers. He saw the invention of the television and has lived to use smart TV’s with remote controls and streaming. His boyhood home had a crank wall telephone on a party line and a radio for entertainment but he has lived to use cell phones, computers and notepads. From the “Jazz Age”, through the Big Band Era to Rock & Roll to… whatever it is that we have now… 95 years… a long and full life. Funeral services will be conducted at Newcomer Funeral Home, 3380 Dayton-Xenia Rd., Beavercreek, OH on Thursday, January 24, 2019 at 11:00 am; a visitation will be held one hour prior to the services at the funeral home from 10:00 to 11:00 am. Burial will follow services at South Solon Cemetery, South Solon, OH. To share a memory of Paul or leave a special message for his family, please click the Share Memories button above. Add your memories to the guest book of Paul Pinkston. And I am so Sorry to hear of your Dads Death . Although The Bible says absent from the body means to be present with the Lord. And all who knew Paul knew that he loved the Lord. I lost my wife of 63 wonderful years July 12 2016 and still miss her so much. We were part of the beginning of Faith Baptist Church in 1963.along with your family. We went back to the Dayton Baptist Temple in 1981 and we merged with Cornerstone Baptist Church which is now known as Cornerstone Baptist Temple since 2001. Jerry Siler is such an wonderful Pastor .Hazel and I always loved your family and send my condolences to you family. Sorry but I am unable to attend funeral.With Love JC Fraley. Praying for God’s blessings and comfort during your time of loss. I always enjoyed visiting with Bro. Paul. He always had a smile on his face and a kind word to share. I loved listening to the stories he would tell about his life experiences and he never passed up an opportunity to talk about the Lord. Paul Pinkston was one of the best men I was blessed to know and grow to love as my “work grandpa” his sweet kind soul will be dearly missed at his home in Brookdale Beavercreek. Paul was always happy and cheerful and well loved by all. Even my children were thankful to meet him and to know an “HONARARY VET”. Thank you “Mr.Paul” for touching our hearts.And thank you from the bottom of my heart for your service. I know he is happy now, because he is finally with his true love Mickey, who he spoke of fondly and lovingly often. I love you Paul.